Fed up of feeling like a piece of meat on your holidays? Want to stick to blood donation for people? Here is a bite-sized guide to mozzie magnets and the precautions you can take to get them to buzz off. What are mozzies attracted to? We can’t help attracting mosquitoes as they hone in on the carbon dioxide plumes we exhale. So we have to take steps to defend ourselves. Please do not bother with citronella though, research have found it is less effective than DEET – the active incredient in most bug repellant products – protecting for merely 3 hours or less. Common areas include the forehead, wrists, elbows and neck. You can protect your head and neck with a buff, a versatile scarf that can be worn in a variety of ways. According to research published in 2000 in medical journal the Lancet, pregnant women are twice as likely to be bitten due to being hotter and exhaling more carbon dioxide. Some mosquitoes are visual hunters that search people out from their outline against the horizon. No need to break out the camouflage from that army surplus store – there is a range of bug repellant clothing. Unless the perfume is bug-repellant deodorant. A reason to exercise before that tropical holiday. A good excuse not to exercise once abroad. Unless you are a statue impersonator you won’t have much luck with this, so cover up. You may feel like strutting in your Speedoes/bronzing in your bikini but you won’t look so good covered in bites. 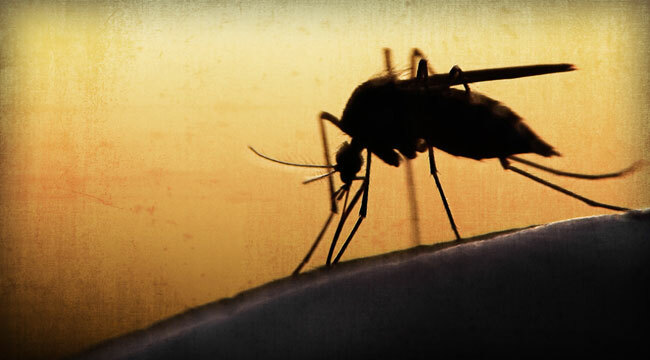 A 2004 study published in the Journal of Medical Entomology found mosquitoes landed on people with type O blood nearly twice as often as those with type A. O well, you will just have to follow the above advice. 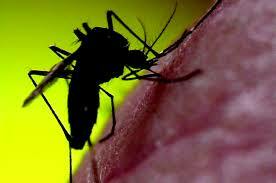 Avoid going out at dawn or dusk as this is when mosquitoes are particularly active.